On May 13, 1917, in Portugal, Our Lady of Fatima appeared to three children in a place called Cova da Iria. It was at noon, and the children were shepherding sheep. Suddenly there was lightning, and the children, thinking that it was going to rain, began to run. Then, just above a holm oak tree, they saw a beautiful lady made of light, holding a rosary in her hand. Our Lady of Fatima asked the children if they would pray and make sacrifice for sinners, and if they would come to this same place on the thirteenth of each month for five months. The children agreed and Lucía said “Yes.” Only Lucía spoke to Our Lady of Fatima, the others listened. This was the beginning of a new life for the children, for their sole purpose in life was to pray and make sacrifices for sinners. They would give their lunch to the sheep as a sacrifice, and perform other acts of mortification. The children noted that the beautiful Our Lady of Fatima was sad, and they were sad also because of Our Lady of Fatima’s sadness. On June 13, Our Lady of Fatima appeared again to the children. The conversation was to pray and make sacrifices and to pray the Rosary. On July 13, Our Lady of Fatima appeared again and conveyed a secret to the children composed of three parts. The first two parts were revealed by Lucía in her memoirs in 1941 and the third part was released by Pope John Paul II in May 2000. “Our Lady showed us a great sea of fire which seemed to be under the earth. Plunged in this fire were demons and souls in human form, like transparent burning embers, all blackened or burnished bronze, floating about in the conflagration, now raised into the air by the flames that issued from within themselves together with great clouds of smoke, now falling back on every side like sparks in a huge fire, without weight or equilibrium and amid shrieks and groans of pain and despair, which horrified us and made us tremble with fear. The demons could be distinguished by their terrifying and repulsive likeness to frightful and unknown animals, all black and transparent. This vision lasted but an instant. “How can we ever be grateful enough to our kind heavenly Mother who had already prepared us by promising, in the first apparition, to take us to heaven? Otherwise, I think we would have died of fear and terror. “The beautiful Lady proceeded to reveal the second part of the secret. We then looked up at Our Lady who said to us so kindly and so sadly: ‘You have seen hell where the souls of poor sinners go. To save them, God wishes to establish in the world devotion to my Immaculate Heart. If what I say to you is done, many souls will be saved and there will be peace. The war is going to end, but if people do not cease offending God, a worse one will break out during the pontificate of Pius XI. ‘When you see a night illuminated by an unknown light, know that this is the great sign given you by God that he is about to punish the world for its crimes, by means of war, famine and persecutions of the Church and the Holy Father. To prevent this, I shall come to ask for the consecration of Russia to my Immaculate Heart and the Communion of reparation on the First Saturdays. ‘If my requests are heeded, Russia will be converted, and there will be peace; if not, she will spread her errors throughout the world, causing wars and persecutions of the Church. The good will be martyred; the Holy Father will have much to suffer; various nations will be annihilated. ”After Our Lady had revealed the secret to the children, she asked them to include a special prayer at the end of each decade of the Rosary. On August 13, 1917, the three children were kidnapped by the mayor of Villa Nova de Ourem to whose district Fatima belonged. The mayor was atheistic as were many in Portugal. In separate conversations with each of the three children, the mayor threatened death if they did not confess everything as a lie. However, the children did not give in to the mayor and professed the truth of Our Lady of Fatima. As a result, the children could not meet Our Lady of Fatima because they were held in jail with common criminals for the night. But according to witnesses, the children converted the men in the jail, and they all prayed in the cell. In a previous apparition, Our Lady of Fatima had promised the children that on October 13, 1917, the final apparition, she would reveal her name and perform a great miracle to vindicate the truth of her apparitions. On August 19, 1917, when Our Lady of Fatima appeared unexpectedly, she told the children that on account of the behavior of the mayor, the miracle would not be as great as was her original intention. However, as we will see, it was truly spectacular. On September 13, 1917, Our Lady of Fatima appeared over the holm oak tree, the site of the first apparition. Now, in the final apparition at Fatima, which took place on October 13, 1917, Lucía had publicly announced that Our Lady of Fatima would perform a great miracle to testify to the truth of the apparitions. From the previous day, many people were traveling toward the area. There were not only those with faith but also the atheistic communists and the secular newspaper reporters who were convinced that they would write a story discrediting the entire event as a hoax. Suddenly, it began to rain. The field where people were gathering turned into a field of mud. Seventy thousand people were present to see the miracle. Then the sun stopped and returned to its place in the sky, and it turned into a beautiful day. People become aware that their clothes were dry. During one of the apparitions, Our Lady of Fatima foretold that Jacinta and Francisco would die soon but that Lucía would remain longer to spread devotion to her Immaculate Heart. After the events at Fatima, Our Lady of Fatima continued to appear discreetly to each child individually from time to time. Francisco died in 1919 and Jacinta in 1920, both from disease. When Our Lady of Fatima appeared to Jacinta, she gave her information about her death. “You will die in a hospital, away from your family, alone.” Jacinta’s death was as Our Lady of Fatima said. Jacinta and Francisco were saints from the first day Our Lady of Fatima appeared to them on May 13, 1917. They gave themselves up to prayer and sacrifice for sinners and prayer for the pope. Once the beautiful Our Lady of Fatima had appeared to them, they lost all interest in the worldly life. Lucía took the name Sister Maria Lucía of the Immaculate Heart of Mary when she became a Carmelite nun. In 2000, on May 13 in Fatima, Pope John Paul II beatified Jacinta and Francisco as Blessed of Heaven. Sister Lucía was present. The third part of the secret given to the children on July 13, 1917, was written by Sister Lucía in 1944, but the text was not revealed until 2000. On May 13, 1981, there was an assassination attempt on the life of Pope John Paul II. Shortly afterward His Holiness read the third part of the secret of Fatima but chose not to reveal it at that time. Coinciding with the May 13, 2000, Beatification of Jacinta and Francisco, The Holy Father released the third part of the secret. This part refers to violent hands being laid on a pope and others as well – bishops, priests, men and women religious and various lay people. Sister Lucía recently said that it now appears ever more clear that the purpose of all the apparitions was to help people to grow more and more in faith, hope and love. Our Lady of Fatima recalls frequently forgotten values. She reminds us that the future of humankind is in God, and that we are active and responsible partners in creating that future. 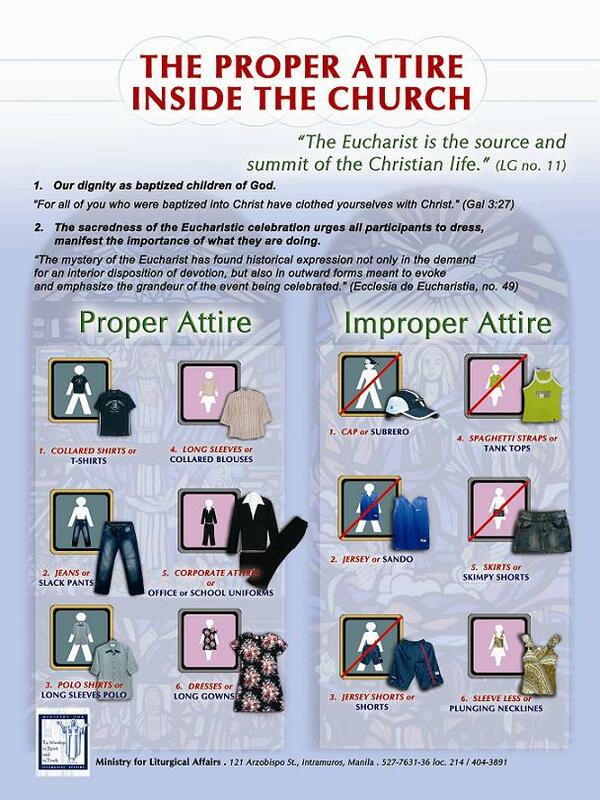 Our Lady of Fatima wants all of us to stop offending God; the same message as at Lourdes to Saint Bernadette. She reminds us that hell exists. 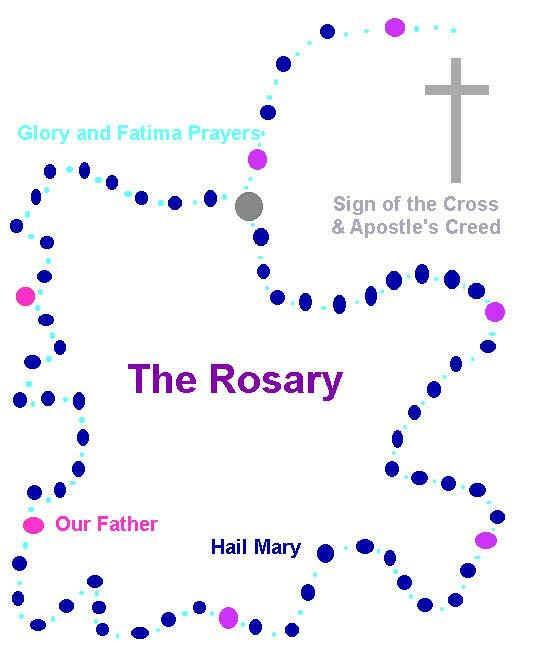 Ultimately, Our Lady of Fatima asks us to fervently pray the Rosary every day, pray for sinners and the pope, and perform sacrifices in reparation for our sins. Sister María Lúcia of the Immaculate Heart of Mary (nee Lucía de Jesús dos Santos), the oldest of the three children to whom Our Lady of Fatima appeared, died on Sunday, February 13, 2005, at 5:25 P. M. at the age of 97, at the Carmelite Convent of Saint Teresa at Coimbra in Portugal where she was buried for a year at her request so that the nuns could mourn privately. In February, 2006, Sister María Lúcia was reinterred at Fatima. Mel Gibson visited Sister María Lúcia in July of 2004 and gave her a DVD of his movie The Passion of the Christ. Pope Benedict XVI has fast-tracked Sister Lúcia’s road to sainthood by eliminating the five-year waiting period to start the canonization process.